Make a background with our chalkboard heart. 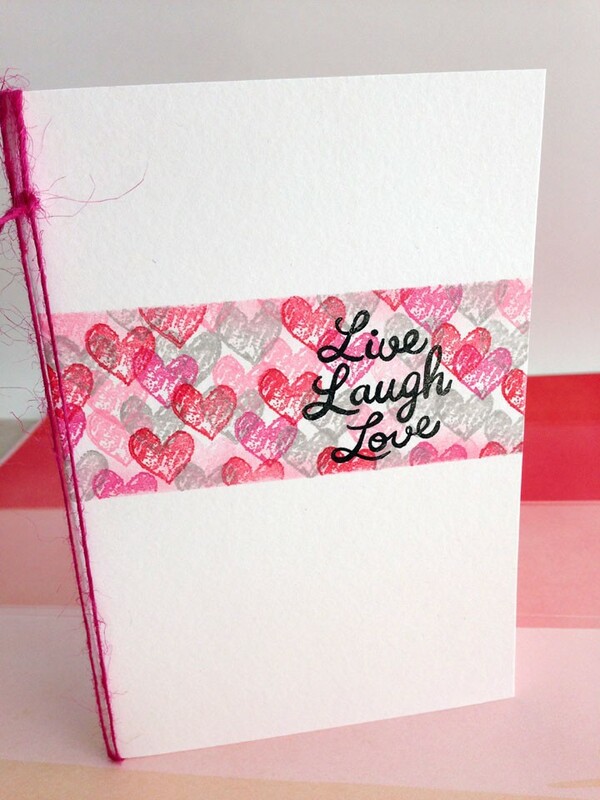 Inks used are pink lemonade, slate, red current and fuschia. Make with post it tape.